As we prepare for the cold winter ahead in Putnam County, there is one important issue that doesn’t get as much attention as it should. I’m talking about winter car seat safety. While I’m happy to see so many parents using the proper car seats for their children, the seat can’t do its job in protecting a child if it’s not used properly. The issue I’m talking about is with heavy winter coats. 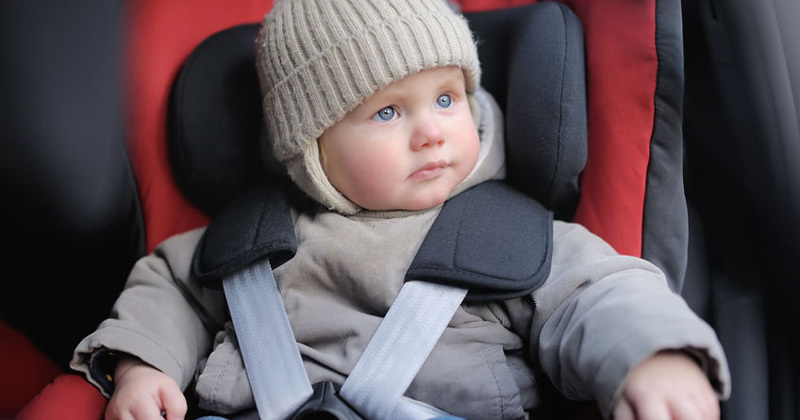 In order to fit a child wearing a heavy coat into his or her car seat, it means loosening the straps. Those loose straps may fail to restrain your child in case of an accident. According to Consumer Reports, the way to determine if a coat is too bulky to wear in a car seat is to place your child in the car seat wearing the coat. Tighten the harness until you can no longer pinch the straps between your thumb and forefinger. Without loosening the harness, remove the child from the seat and remove the coat. Place the child back into the seat and buckle the harness without adjusting it. If you can now pinch the strap between your thumb and forefinger, the coat is too bulky to be worn under the harness. There are several options for keeping your child warm in the car while not wearing a coat. One easy way is to keep a blanket in the car to put over your child once buckled in. Another option is to place the coat on backward after the child is buckled in, with his or her arms through the sleeves. You may think that even loose straps around a coat will still protect your child, but take a look at this Today show report, which lets us see with our own eyes how a car seat fails to protect a child who is wearing a heavy coat. Avoiding injuries should be your top priority, but what about when an injury does occur? Ensuring a child’s safety should be enough of a reason to make sure things are done right, but I feel I should also mention that failing to properly use a child safety seat may also affect your claim against the person responsible for the accident. Insurance companies will often attempt to place the blame on you and avoid paying for the child’s injuries. Whenever a child is injured, you want to make sure they receive the best medical care and that any serious injuries are dealt with properly to minimize the long term effects on his or her life. When a child using a safety seat is involved in an accident, it’s even more important to speak to an experienced attorney. A fair settlement isn’t like winning the lottery, it’s compensation that’s needed to ensure accident victims get the best care possible and can minimize the impact of the injury on the rest of their lives. I have been helping accident victims get fair compensation for 40 years. If you’ve been an accident and have serious injuries, contact me for a free consultation.